Why do I bring my Argan oil with me when I travel and especially to Morocco where it is widely available? We all know by now that Argan oil or Moroccan oil is only sourced in Morocco. 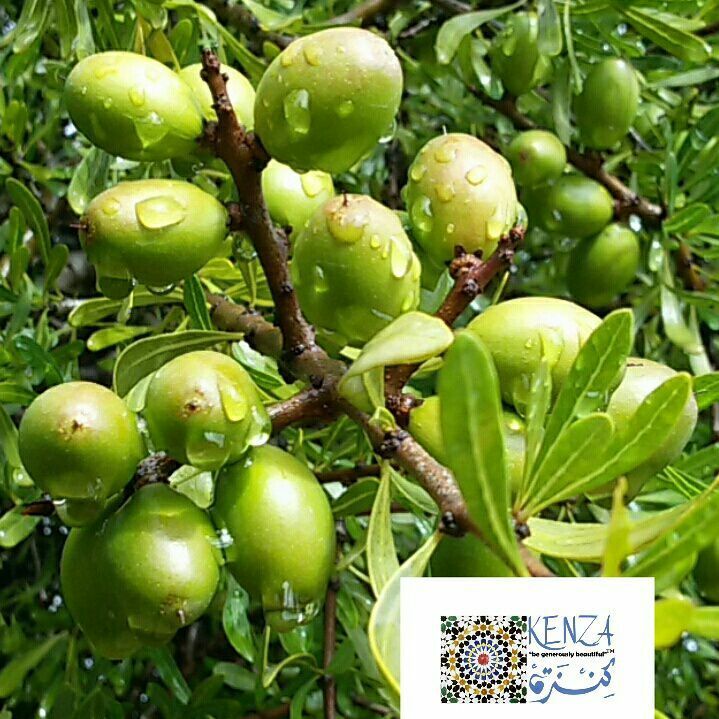 It is an oil that is produced from Argan nuts that grow only in the southern part of Morocco. When you travel to Morocco you can see it everywhere and with its increased popularity this last decade worldwide, everybody got into producing and selling Argan oil in Morocco. Unfortunately not all products on the market are regulated which makes it difficult for you buyers to differentiate between good Argan oi, chemically processed and even fake ones. How can you be sure you are buying pure, authentic, unadulterated, and unrefined Moroccan Argan oil? That was my main mission when I decided to launch KENZA International Beauty. Those were my worries. How can I be sure to provide only the highest quality, 100% Pure and organic Moroccan Argan oil? Being native from this country, knowing so well the behind the scenes of the Argan oil business led me to search for the only supplier that can guarantee the highest quality with not only laboratory tests analyses but also certifications like USDA organic and most importantly ISO9001 international quality certification. Most production of Argan oil in Morocco is organic and has been handcrafted by Berber women at cooperatives for centuries. How Moroccan Argan oil is produced is one question to ask but the main concern to have is how is it processed, what production requirements does it go through, how is it packaged and what are the procedures implicated to guarantee the quality of the final product? This is why I found a supplier in Morocco, and one of the few here that is ISO9001 certified. Every batch that enters the manufacture goes first to be tested for authenticity and quality. Every batch no matter how long they have been working with the cooperatives supplying them. At KENZA International Beauty we offer two organic Moroccan oils: Argan oil and Prickly Pear Seed Oil that go through the extensive regulated process from production, packaging to shipping to guarantee that you are only using the highest quality products. Try our KENZA Pure Argan oil! 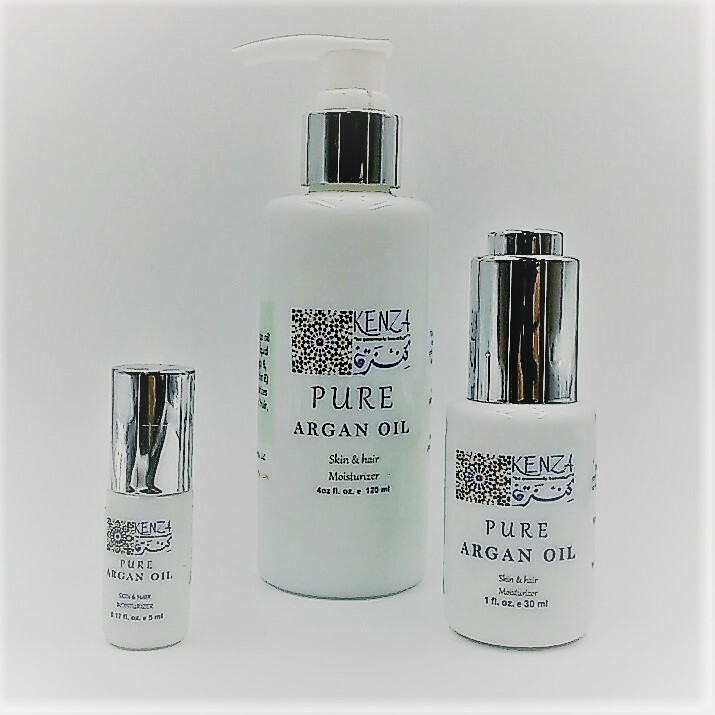 KENZA Pure Argan oil is a multipurpose natural moisturizer, non-greasy, rich in antioxidants and essential fatty acids that will nourish your skin and hair. It is safe and good for the whole family. I want all of you to try it and take it with you on your next travel or just to replace your regular moisturizer, hair conditioner, and body lotion. It works great as an after-sun too. KENZA Pure Argan oil and selected beauty products are on sale now until 5/31/18. And if you are an indie beauty formulator we have also our Organic Argan oil wholesale on sale. This entry was posted in Pure Moroccan Beauty Oils and tagged 100% Pure Argan Oil, ARGAN OIL, argan oil wholesale, beauty formulator, certified organic, Indie beauty, KENZA International Beauty, KENZA Pure Argan oil, khadija fajry, moroccan argan oil, MOROCCO, natural-beauty, Organic Argan OIL, quality. Bookmark the permalink.